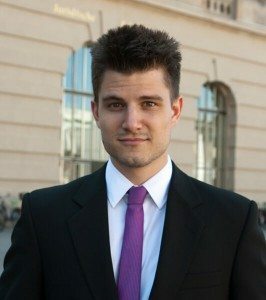 VS2 - The Clarity Grading Win Zone They're Not Telling You! VS2 – The Clarity Grading Win Zone! Call it a magical mark, a sweet spot, or the bull’s eye, VS2 is undeniably the clarity grade where you can find the most affordable beautiful diamonds. It’s like an on-going sale or a cheat sheet that’s only given to those who study their homework. Because if you’re new to diamonds, you would probably go for the highest grades, but since you’re here, making sense of the diamond ABCs, you get to discover one of our best trade secrets! 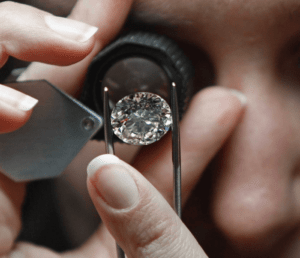 This post is all about getting the most out of your budget, so in case you’re a purist, an investor, or a collector, IF diamonds would probably suit you better. But assuming you’re all for saving money, VS2 is just the right blend of great value and beauty. And if you follow the guidelines below, it won’t be long ‘til you find an exquisite gem all by yourself! 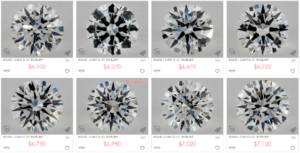 VS2 diamonds bear noticeable inclusions under 10x magnification that are easily spotted by a professional. Although without magnification tools or bionic eyes, you wouldn’t see any flaw. Meaning, they’re still invisible to the naked eye! It’s like a safety filter where you don’t have to sort out eye clean SI1 and SI2 diamonds, but simply trust the grade because VS2s are always eye clean, especially the ones graded by GIA or AGS. This clarity grade is in demand for two reasons: it’s spotless to the bare eyes and it’s reasonably priced! A true grading home run, indeed! Now, the only thing that separates these two is how easily the flaws are seen. Depending on the number, size, and location of the inclusions, a diamond is labeled as VS1 or VS2. Generally speaking, VS2 has a tad more flaws and they’re usually bigger than VS1’s. Also, the inclusions are more evident because of their location. Just imagine a feather inclusion right at the center versus one that’s placed at the periphery or deep inside the pavilion. The more obvious one will then be graded as VS2. The VS2 gem bears evident white inlcusions from this view. Although if you'll click the photo and zoom out to 2x magnification (the closest distance to seeing in person), you won't really notice the flaws. And everyone with normal eyesight wouldn't as well! If you’ll click the images, you’ll see how equally brilliant they are, but since the gem on the left is graded as VS2, it’s also priced lower. In this case, way lower! Ready to look for VS2 diamonds? Take these buying tips with you! Usually, a salesperson in a brick and mortar store will try to maneuver your whole buying process. So, before you’re talked into buying a well-described gem, ask to see the diamond under a loupe. And if you’re looking at diamonds online, make sure you are seeing the actual photos of the gems. They should be magnified 20x or better yet, 40x! 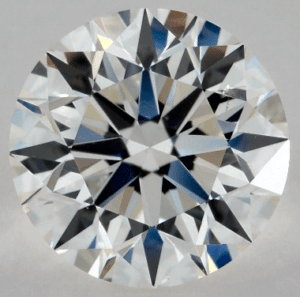 Although a VS2 diamond show no visible flaws, there are rare instances that it could have slightly visible inclusions. Just to double check, you should be able to view them in high quality pictures. 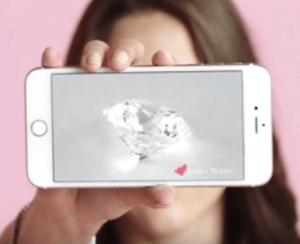 James Allen is probably the best option for online diamond shopping today because they’re the only website that provides a 360° view of each diamond in super zoom. As you may have noticed, I like using their photos for examples simply for their top quality imagery and user-friendly filter tool that can make online shopping a hands-on experience! First off, I should clarify that the diamond cut is never secondary, but the main factor and ruler of the 4Cs! In fact, the reason why most people would go for VS2, instead of a higher grade, is to be able to get the best cut possible. 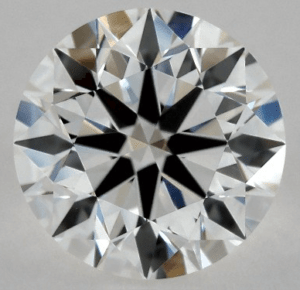 This is because a perfectly cut gem will produce optimal fire, brilliance, and scintillation, plus exhibit light in a way that it can also hide flaws. So, only opt for Excellent/Ideal cuts! You should also consider the shape of the gem. A round cut diamond with excellent cut can better hide inclusions, but you’ll need to be more vigilant with step cuts. Since they have less facets and are not as brilliant as rounds, they could highlight more flaws. This brings us back to seeing HD pictures of the diamond to ensure its quality. 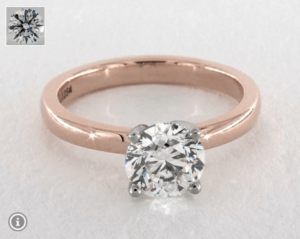 The VS2 grade will go well with diamonds below 2 carats. If it’s beyond, you’ll probably need to look for VS1 or more. Because like the shape, the bigger the diamond is, the more it tends to show imperfections as it has larger facets. That's why you should never pick diamonds in the I1 to 13 grades as they possess big inclusions that can be prone to chipping. Lastly, not all gemological labs produce accurate ratings, some are more lenient in their 4Cs that reduces the value of the gem. That said, I would only recommend the two most trusted labs in the US – GIA and AGS. Buying a diamond graded by these two will guarantee a superb gem! With the tips above, you can’t go wrong with the VS2 clarity grade. 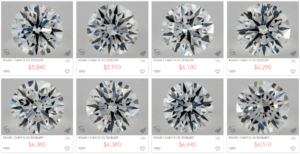 After choosing an eye clean diamond, you may now bargain on a brighter color, a bigger carat, and of course, the best cut! Can a feather near the girdle in a VS2 clarity diamond pose a durability risk? 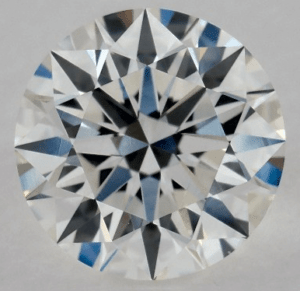 What Are the Best Diamond Grading Labs? 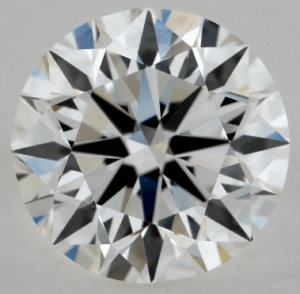 23 Key Diamond Grading Questions you should ask!